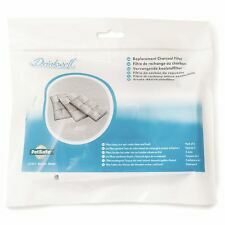 EXTEND FOUNTAIN LIFE - The Drinkwell Replaceable Charcoal Filters will prevent Food, Hair and other Large Debris from being circulated through the Fountain, making cleaning easier. 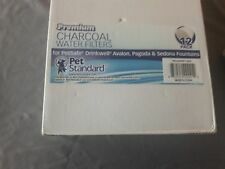 Aqua Falls Pet Fountain New, OPEN BOX. Condition is New. Shipped with FedEx SmartPost. 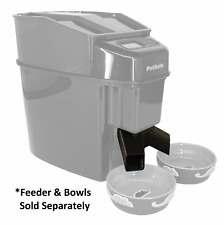 PetSafe SlimCat Interactive Cat Feeder. SlimCat can be used by all cats and particularly overweight cats can benefit from the interaction. Key Benefits. 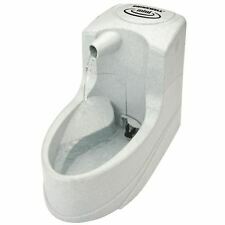 Aqua Falls Pet Fountain - New in Box - Free Shipping! Aqua Falls Pet Fountain - New in Box. Condition is New. Pantented free-falling stream encourages pets to drink more water & adds more oxygen for freshness. Receiving ramp reduces splash & sound from falling water. This does not make it fake, or a Chinese knockoff, or USED. Duo-density pad on each filter. Opened and re-boxed, removed from a part of a larger assembly or just do not have a box at all anymore. The item may have been part of a larger assembly and removed. In between the pads we have added granulated charcoal for extended filtration. Standard / Orignal Drinkwell Filters - Fit the following Drinkwell Products - Original, Big Dog, Platinum, Multi-Tier,Everflow,Outdoor Dog and Zen Fountains. Never used! Can be used for cats, dogs, or any animal's water bowl for healthy, filtered water! SlimCat will do just that. SlimCat distributes an adjustable amount of dry food as the cat plays with it. SlimCat can be used by all cats and particulary overweight cats can benefit from the interaction. Product is new inside but may have slight markings from age. PetSafe Current Pet Fountain 80 oz. 3 Kits all used for Drinkwell Everflow. PetSafe Current Pet Fountain 120 oz. Model Number: PFD17-12901. 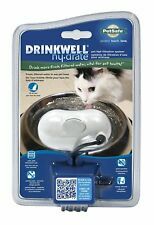 The Hy-Drate Cat is a healthy way to turn your cat's ordinary water bowl into an automatic water fountain. One charcoal filter included. Once an unpaid item case is opened, we have no way to close it. 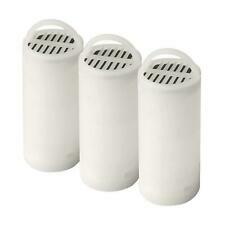 Filters help extend the life of your fountain and pump and should be replaced every 2 to 4 weeks. To replace the filter, put the filter in the filter housing with the black side facing the front. 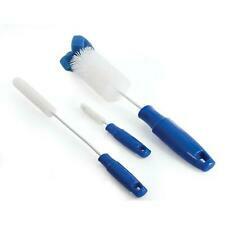 Compatible with the Current Pet Fountain in all 3 sizes. Multi-Tier Pet Fountain. Upper & Lower Drinking Areas For Pets. Free-Falling Stream Entices To Drink More Water. Fountain Is BPA-Free & Top-Shelf Dishwasher Safe. Free-Falling Stream. 3 Places To Drink From. Less refilling! 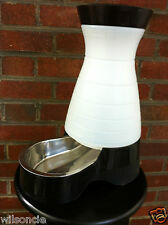 Pet Water Fountain Features Provides 1-5 changeable free-falling streams that encourage your pets to drink more. Includes a replaceable carbon water filter that removes bad tastes and odors and a foam filter to remove hair and debris. The Drinkwell Original Fountain provides 50 oz. of fresh, filtered water to your pet. The free-falling stream of water entices your pet to drink more and aerates your the water with oxygen. Free-Falling Stream entices pets to drink more water. The Water Fountain Cat Bowl provides your pet with 100 ounces of fresh, filtered water. Receiving ramp reduces splash and sound of falling water. Free-falling stream adds more oxygen for freshness, encouraging pets to drink more water. You can choose to put treats or dry food in the SlimCat. The openings are adjustable so you can tailor the challenge to your cat's needs. By PetSafe. VERSATILITY: Can be used for fun with treats or as a daily feeder. Compatible with Drinkwell 360. Keep the water in your pet’s Drinkwell fountain tasting fresh. Provides 1-5 changeable free-falling streams that encourage your pets to drink more. PetSafe PFD1715681 Features PetSafe Healthy Pet Simply Feed Programmable Digital Pet Feeder for Cats & Dogs. Fewer refills are needed with the 5,678 ml (24-cup) capacity hopper, which is translucent for monitoring the food level.